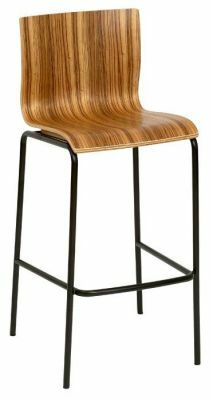 Stylish bar stools with a durable four leg frame in a choice of Black, Chrome or Stainless steel and plywood shell in Zebrano or Walnut. Available from stock for a 2-3 day lead time. Commercial standard high stool with a distinctive Zebrano finish seat. 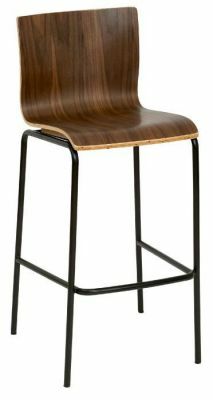 Complete with a robust frame in a choice of three popular finishes.